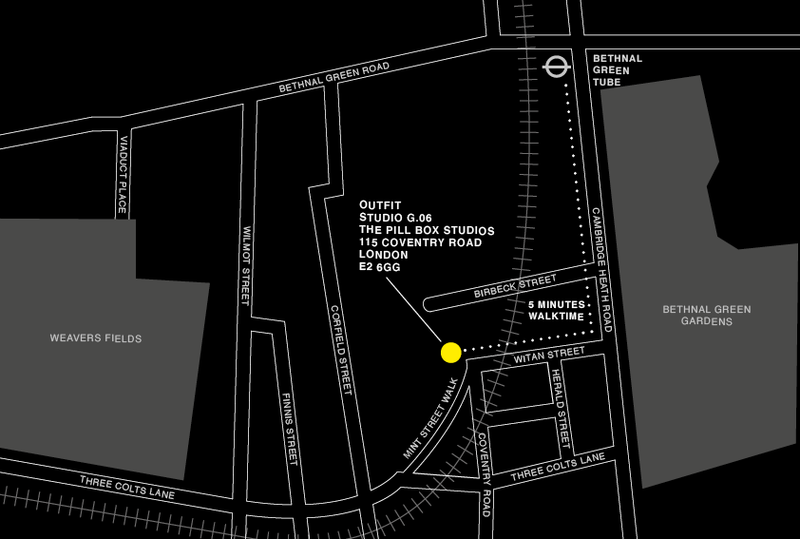 We’re based in The Pill Box Studios, an old Allen and Hanbury pharmaceuticals factory a short hop from Bethnal Green and Brick Lane. If you’re travelling by tube go to Bethnal Green Underground and its a short walk from there. We’re one stop from Liverpool Street station.